Independent fundraisers almost always have to work on a shoestring budget. By definition fundraisers want as much of the cash they raise as possible to go to the cause – and for as little of it as possible to be spent on things like printing flyers. Luckily, there is a wide range of tactics you can use to raise awareness of your cause very cheaply. By combining a few of these ideas you can help to build a successful, effective PR campaign that should help to drive donations. A website is a must-have for any charitable cause or fundraising organisation. Your potential donors spend an increasing amount of their time online, and you are missing out on a huge PR opportunity if you do not make yourself visible. Luckily, websites are quick and easy to set up – and they can be free. If you use a platform like Wordpress or Tumblr you can get a free domain name, meaning that all you need to do is get designing. The importance of cooperation in charitable work cannot be overstated. There are thousands of fundraising organisations doing fantastic work across the country, and you may well be able to increase awareness of your cause by linking with likeminded groups elsewhere. As well as using their contacts to make more people aware of your fundraising, they may also be able to provide practical tips and advice to help you work more effectively. Social media is becoming increasingly important for fundraisers. Tools like Facebook, Twitter and blogs allow you to contact and engage with a huge number of potential donors very quickly and easily. 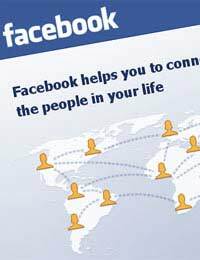 You should at least make sure that you have a Facebook page set up, as this remains the platform on which the largest number of potential donors are likely to be. You should also understand the differences between profiles and pages. Do not try to set up a profile for your cause, as these are reserved solely for ‘real people’. Instead, choose a page. The link to start a page is available on the Facebook homepage. Many businesses are keen to associate themselves with good causes, either because they want to contribute in a material way or because they want to get some good publicity out of it. Either way, you should consider developing partnerships with businesses in your area. Think about what you need, and then approach firms that might be able to offer practical or financial assistance. For example, do you need flyers or posters printed? A local printing firm might well be willing to offer you a discount – or even do the work for free in exchange for having their logo printed on your marketing materials. Word of mouth is amongst the most effective PR tool at your disposal. Think about ways that you can encourage existing supporters to spread the word about your cause. For example, when you receive a donation or take on a new supporter, ask them to tell five or ten others who might be interested. Then, if each of those people also tells five others, you will soon find your network of potential donors expanding. If you do ask people to tell their friends, make sure that you provide them with all the information they might potentially need. It is important that anyone acting on behalf of your cause is well informed. Fundraisers can achieve big things in relatively small areas. Instead of trying to reach every potential donor across the country, start with your local town. How can you encourage the people around you to get involved in the cause? For example, you might attend town meetings, or put up flyers in local shops. Don’t underestimate the importance of your local area. You are likely to find some of your most loyal supporters amongst the people you live near. Finally, remember that the best way to get press coverage is to cause a scene. If you want to make sure that the papers cover your cause, think about bold, brash, visually exciting events that you might be able to lay on. Remember that editors like things that have a good accompanying picture – so go for unusual events with lots of colour. Just make sure that you check the laws first! Above all, remember that no two fundraising campaigns are the same. There is no set formula for successful PR – but with a bit of creative thinking you stand a good chance of success. Good luck! Should We Hire a PR Professional?